The present study combines three research areas: the history of cartography in early modern Japan, the history of knowledge exchange in Japan, and the history of the Leiden University Library collections. 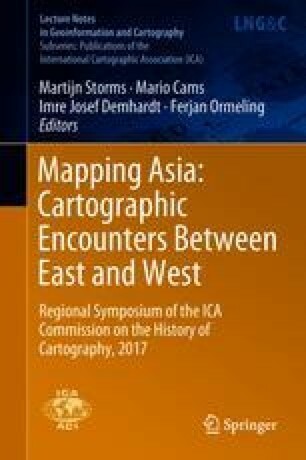 A group of Japan-related nineteenth-century maps are analysed in terms of the various ways in which they can be related to specific encounters between historical actors. Their significance is enhanced by the fact that they bear traces of their use, thereby allowing the reconstruction of the material processes through which geographical knowledge was exchanged through social networks.